Over the years I’ve grown accustomed to quiet. I like it. More than that, I’ve come to need it. If stillness was a drug, I’d be a junkie. My body demands the periodic injection of solitude and silence. I haven’t had it for the last couple of weeks. You’d think sitting around a hospice room for hours with somebody who is heavily medicated against pain would be quiet. It’s not. For ten thousand reasons, it’s not. The hospice staff are always in motion. Visitors come and go. There’s always the sound of the hospital: the trundling of med-carts, the alarms, the clang and shuffle of housekeeping crews, the hiss-thwok of suction pumps. And, of course, even though he’s heavily medicated the brother still requires attention. There’s not much left of him now. His body is wasting away; his voice is just a thin, papery whisper; he sleeps most of the time. But now and then he opens his eyes and looks around—and when he does, I want him to see somebody who loves him. 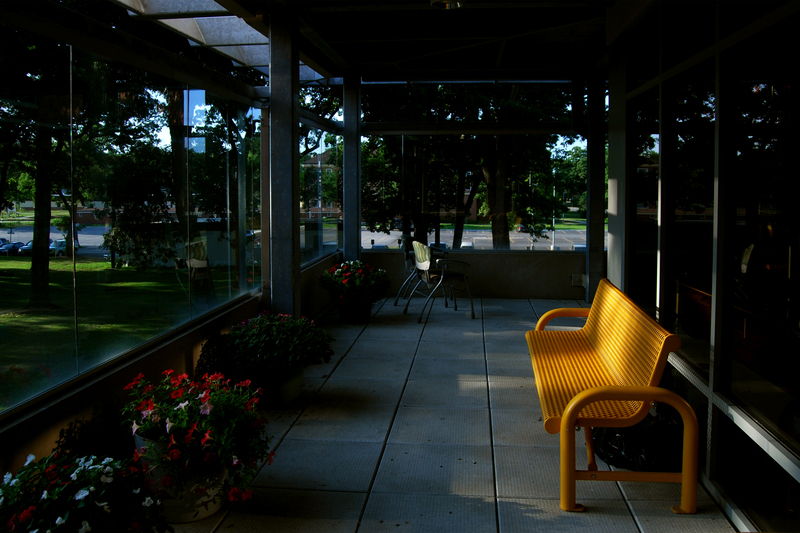 The hospice has a second-floor balcony. Walls of glass shield it from wind and rain, but it’s open at the top to allow a bit of breeze. Sparrows fly in and out, and nest in some of the beams. They’re a messy bird, sparrows, but cheery and it’s pleasant to hear them. We take the brother out to the balcony when he’s up to it. He sits and looks at the trees and listens to the sparrows, and appears to pay attention to our conversation. When he’s tired himself out—after fifteen or twenty minutes—and he’s being wheeled back to his room, I like to linger for a moment. It’s not enough. It’s not enough for him or for me. But it’ll have to do.